Bihar has an interesting and glorious past. Bihar's history is dated back to the times of the Ramayana where Sita came from Mithila. Even if e do not treat it as a historical fact but it does make sense that Bihar had a history and civilisation worth mention in the old mythological texts. 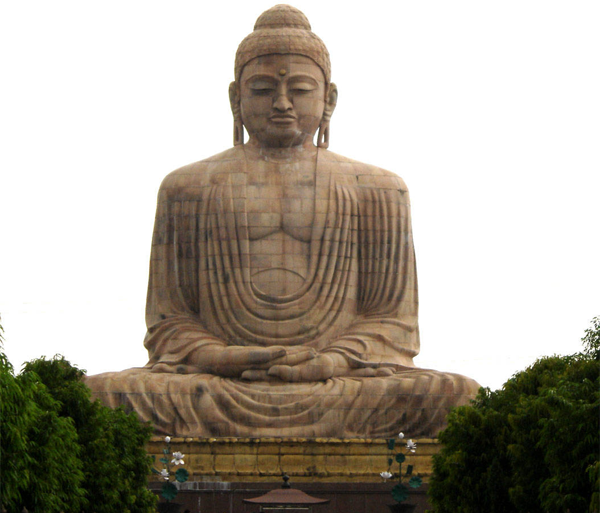 Bihar has seen great kingdoms and has had a very learned past what with one of India's most ancient university, Nalanda, being located there and the great Buddha having attained knowledge at Bodh Gaya. A centre of power, learning and deep-seated culture, Magadha kingdom covering the region of south-west Bihar towered over other empires for well over 1,000 years. The Haryanka dynasty (684 B.C.) is the earliest rulers of Magadha. 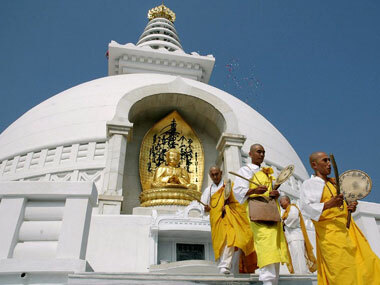 They ruled the kingdom from the then Rajgriha, the present day Rajgir. King Bimbisara and his son Ajatashatru ruled the province during the course of which the latter imprisoned his father to climb the throne. Later King Ajatashatru founded Pataliputra (now Patna) that later became the capital of Magadha. Further, he conquered Vajji, north of Ganges with Vaishali as its capital. Vaishali was ruled by the Licchvi kingdom which had a republic form of government. The supreme king was elected by a confederation of kingdoms governed by local rulers. There were many references to Vaishali in the religious texts of Buddhism and Jainism with proofs that it was a functioning republic by 600 B.C. even before the birth of Gautama Buddha (563 B.C. ), thus becoming the first successful republic in the world. Haryanka dynasty was followed by Shishunaga kings who were replaced by Nanda dynasty that established a reign of supremacy in a vast region stretching from Bengal in the east to Punjab to the west. 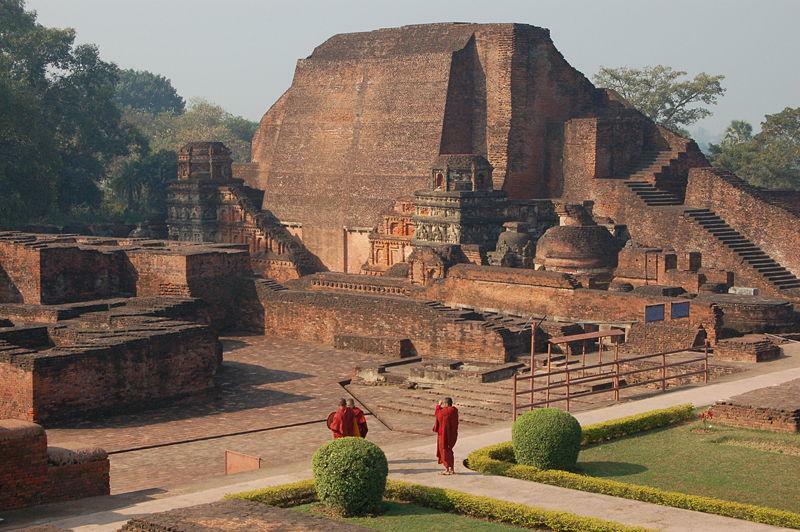 The Nanda empire was replaced by Mauryas who along with Buddhism flourished in the region of present day Bihar from 325 B.C. for well over 1,000 years. Chandragupta Maurya was the first of the valiant kings under the Mauryan dynasty and he was born in Magadha. 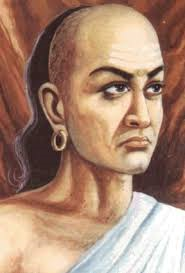 He made Pataliputra (Patna) as the capital of his kingdom. The Mauryan emperor Ashoka who had fought many wars and annexed territories to enlarge his kingdom was considered one of the greatest rulers of ancient India. The Gupta empire, part of Mauryan lineage, that ruled from Magadha (320-550 A.D.) is termed as the Golden Age of India in science, mathematics, astronomy, commerce, religion and Indian philosophy. This dynasty brought the entire belt of north India under their control by subjugating the provincial kingdoms that became independent after the extinction of Kushans. Bihar and Bengal was invaded by Rajendra Chola I of the Chola dynasty in the 11th century. The Buddhism that flourished in Magadha was totally wiped out with the invasion of Muhammad Bin Bakhtiar Khilji in the 12th Century A.D. The invaders killed thousands of Buddhist monks, destroyed viharas and the famous varsities Nalanda and Vikramshila were completed ruined. In 1540, Sher Shah Suri, the valiant Pathan of Bihar, took control of North India. To him goes the credit of being the first person to defeat the Mughals and the Humayun army and further made Delhi as his capital. The Mughals could not dare to set foot in India during the rule of Sher Shah Suri. The tenth and the last Guru of Sikhism, Guru Gobind Singh was born in Patna. After the downfall of Mughal Empire, Bihar came under Nawabs of Bengal. 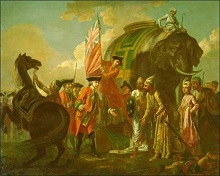 After the Battle of Buxar (1764), the East India Company established direct control over Bihar, Bengal and Odisha. Due to the fertile soil, abundant water and skilled labour, this region had attracted colonial powers including the Dutch and the British in 18th Century. In 1912, Bihar and Orissa were carved out as a separate province from the Bengal Presidency. Later on, in 1935, certain portions of Bihar were reorganised into the separate province of Orissa. According to some historians, activist Dr Maghfoor Ahmad Ajazi strongly objected to the two-nation theory of Jinnah that led to creation of Pakistan. All India Jamhur Muslim League was formed to counter the Indian Muslim league to oppose Jinnah. While the Raja of Mahmoodabad took charge as the president of AIJML, as Dr Ajazi became is general secretary. Bihari ryots in Champaran had revolted against indigo cultivation in 1914 at Pipra and 1916 at Turkaulia. 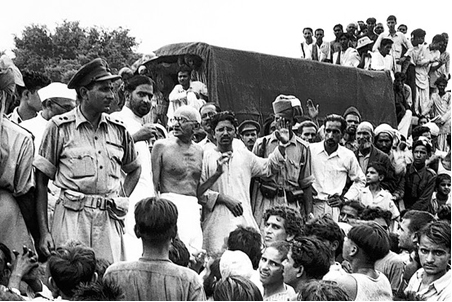 In order to express solidarity with the suffering farmers, Mahatma Gandhi visited Champaran in April 1917 after the request from Raj Kumar Shukla, a freedom fighter. The Champaran Satyagraha was in a way a precursor to civil disobedience movement launched by Gandhi across the country with great success. The Champaran stir had got the support of Bihari nationalists like Rajendra Prasad and Anugrah Narayan Sinha. In the northern and central plains of Bihar, the Kisan Sabha was formed in 1929 by Swami Sahajanand Saraswati. This peasant movement later on became Bihar Provincial Kisan Sabha (BPKS) with an aim to protect farmers against the zamindari attacks on their land rights. Soon BPKS became a pan-India movement leading to the formation of All India Kisan Sabha at the Lucknow meet of the Congress in April 1936 in which Saraswati was elected as its first president.